Surely one of the strangest pictures I've personally ever seen, and I'm not entirely sure it should even be called a photo- graph—maybe a neutrograph? 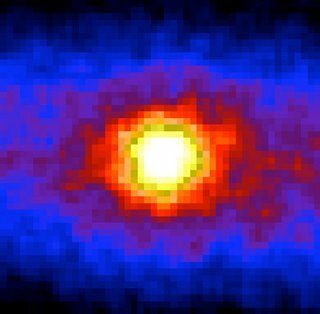 It's a picture of the sun taken through the Earth by the "light" of neutrinos, which pass directly throught the mass of Earth. See JoAnne Hewett's comments on this image at Cosmic Variance.